In 2002, the first LCD-based iMac succeeded the translucent PowerPC G3-based models that the original Bondi Blue iMac begat. The new generation was much more striking than the one that had placed Apple on the comeback trail. The iMac G4 mounted the display on a balanced arm similar to a Luxo lamp while the motherboard resided in a hemispherical base. This allowed the display to be adjusted to a wide range of heights and angles and each of the two main sections to be "true to itself." Alas, the design had its limits. It's difficult to imagine today's ample 27-inch iMac displays balancing off such a mount. Furthermore, after the switch to Intel, processor thermals improved to help enable the slim iMac of today. The idea of efforts being true to themselves (at least until nearly compromise-free convergence is possible), however, has stayed a hallmark of Apple. For example, the company would resist adding video to the iPod for years after competitors had the feature. These days, Apple and Microsoft are preaching messages to developers that have much in common: touch, tablets and app stores. However, their central difference comes down to whether the touch experience can be reconciled with the keyboard-and-mouse experience. 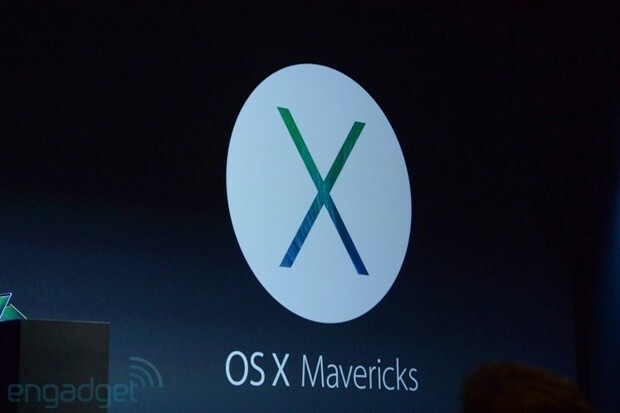 Apple takes the stance that it cannot while Microsoft says it can, at least transitionally. But just as Apple learned to bring together the placement of computing and display in the iMac, and video and audio in the iPod, might it one day reconcile the main user interface models of OS X and iOS? Even Steve Jobs once acknowledged the potential as at least an R&D project. But such a move surely wouldn't come any time soon. Tim Cook, referencing the folly of combining a toaster and a refrigerator, has said the company has no plans to make such a converged device. And after the addition of iPad-like full-screen apps and the Launchpad in Lion, Apple seemed to back off a bit on the iPadification of Mac OS in Mountain Lion. Meanwhile, one need only look at the implementation of the Start button in Windows 8.1 to see that Microsoft is pushing forward on its Modern touch interface on the PC even as it softens the transition. In contrast, at WWDC Apple showed a resolve to maintain separately optimized interfaces between OS X and iOS. It also focused the former OS on tasks that deal with the kinds of files and information management that are all but alien to the iPad. Features such as tags, Finder tabs and enhancement of multiple-monitor support to the point where there is now no longer such a thing as a primary display will have great appeal to power users. They show there is a future for the traditional desktop interface, one that -- if Apple's rationale for a naming-convention change holds true -- the company expects to be around for the next 10 years. Apple seems determined not to turn the Mac into an iPad or vice versa. Microsoft may be missing opportunities to enhance the traditional desktop experience. On the other hand, the iPad may be caught in the middle of Apple's line in the sand. Features such as Microsoft's expansion of multiple apps sharing a screen in Windows can make a meaningful impact versus an iPad. Perhaps Apple's opening up of multitasking in iOS 7 will serve as a prelude for such future functionality. But it will take years before we will be able to know which company made the right bet in where touch belongs, even if it comes at the expense of desktop precision.